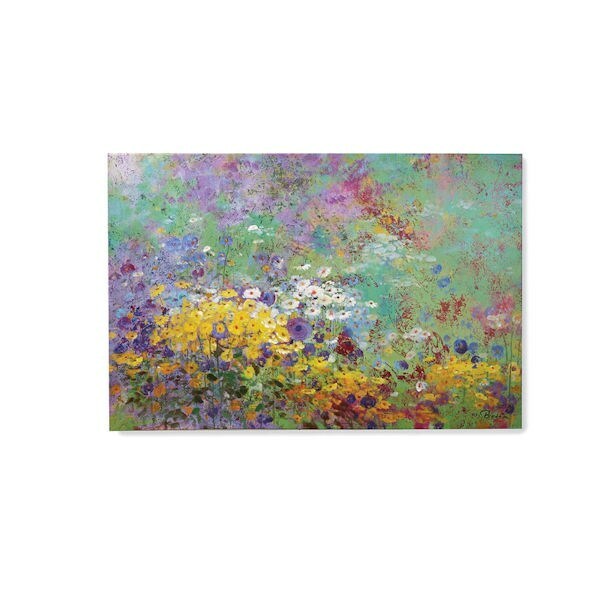 Inspired by Monet, who painted his own gardens at Giverny many times, this inviting scene is an impressionist sweep of color washed by light. Printed on canvas, accented with handpainted details and gallery-wrapped on wood stretchers, it will make a room without breaking the bank. 47" wide, 32" high. Hanging hardware included. No rush or overnight shipping. Item can only be shipped within the Continental US. Extra shipping charges for this item: $+9.95.